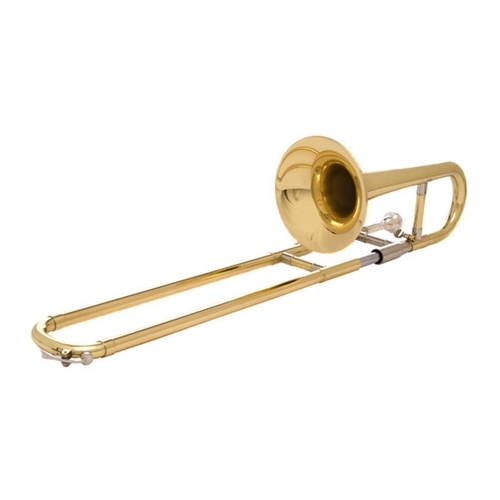 Owing to its small size, this versatile instrument is sometimes used as an introduction to playing the trombone as it can be held by those with small hands. The JP039 Bb Slide Trumpet is a well engineered and lightweight Bb slide trumpet, sometimes known as a mini or soprano trombone. Owing to its small size, this versatile instrument is sometimes used as an introduction to playing the trombone as it can be held by those with small hands. The JP039 also has found a well deserved place in many trombone quartets providing players with an affordable yet high performing soprano trombone. It's affordable price also enables players to own a secondary instrument that usually they wouldn't be able to justify. Also holding some novelty value for trumpet players, the JP039's trumpet slide enables players to perform glisses especially useful in jazz solos.